On Friday, March 29, 2019 Gerald Scott passed away at the age of 51. Gerald was born to David and Sallie Scott on April 26, 1967 in Brooklyn, NY. He was the ninth child of 12 children. Gerald was born in the house on Greene Avenue in Bed Stuy. He didn’t wait for his mom to get to the hospital; guess he was anxious to come into the world. Gerald was your typical child growing up, playful and full of joy. He was affectionately called “Red Boy” by his family because of his unique reddish skin and hair color. It became apparent very early on that Gerald was quite the character. He became known for his quick wit and sense of humor. He had a natural ability to make people laugh no matter what the situation. For the most part Gerald was relatively quiet. But he had a passion for life and was the life of ANY party. He enjoyed hanging out with his family and friends. After graduating from high school, Gerald worked at a law firm for a few years. Unbeknownst to his family and friends, he took the test for the New York City Police Department. 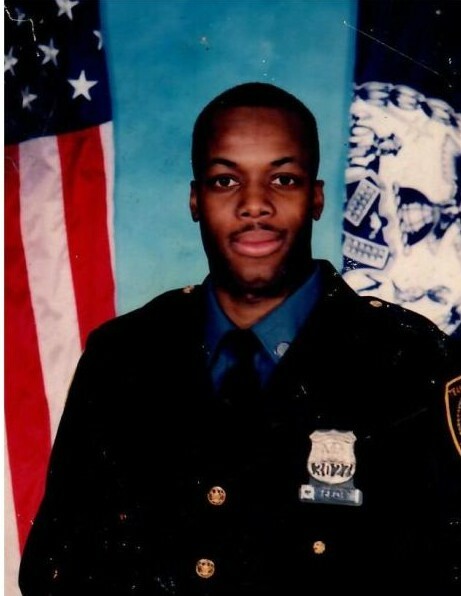 And in 1993 he became a New York City police officer. He initially started out as a transit cop with District 34. 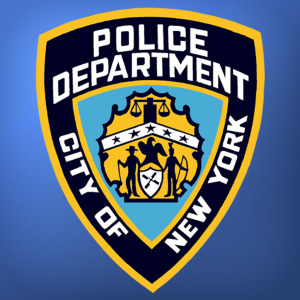 He worked there for many years, but ultimately finished his NYPD career in the Licensing and Permits Unit at 1 Police Plaza in Manhattan in 2013. Gerald was an avid sports fan. He enjoyed both baseball and football and was an avid Yankees and Giants fan. He worked for a short time after retirement at Yankee Stadium in the VIP section, which he enjoyed. He collected sports memorabilia as a hobby. Gerald is preceded in death by his mother, Sallie Mae and his brothers David and Donald. He is survived by his father David; his daughter Tiffany; his sisters Patricia, Peggy, Beverly and Felicia; his brothers Kenneth, Gregory, Bruce, Earl and Marc; (his “9th” brother cousin Lester); his brother-in-law Dennis Grant and his sisters-in-law Sherri and Amanda; his nieces Dannette and Tasha; his nephews Shawn, Terrell and Damien; his uncles Jerry and Hezekiah Mitchell of South Carolina; as well as a host of cousins in New York, Savannah and South Carolina. A special shout out to his NYPD family. Thanks for holding him down.